Your search for "longevity" gave back 1 result. COSTA RICA WILL REVEAL THE SECRETS OF ITS "BLUE ZONE"
It is located in five cantons in Guanacaste on the Nicoya Peninsula. This zone has a population of more than 800 inhabitants that are more than 90 years old. The meeting will take place on November 16th, 17th and 18th in Nicoya. A part of Costa Rica stands out worldwide as a "Blue Zone," which is characterized by the long, healthy lifespan of its population. Men and women exceed the average life expectancy with ages of more than 100 years. We speak on behalf of five cantons in Guanacaste, which are located on the Nicoya Peninsula: Santa Cruz, Hojancha, Carrillo, Nandayure and, part of the Nicoya canton. Part of the Nicoya Peninsula is added to the exclusive list of only five "Blue Zones" in the world, which include: Icaria in Greece, Sardinia in Italy, Okinawa in Japan and Loma Linda in the United States. The Nicoya Peninsula is the only Blue Zone in Latin America and it is the largest. Precisely, in November, the World Meeting of Blue Zones will meet to thoroughly research what occurs in the zone, share the experiences of the long-lived individuals and learn more from the scientific, cultural and health points of view, without leaving aside the possibility of showing the tourist attractions on the Nicoya Peninsula. National and international guests will be present and there will be an activities agenda for visitors to enjoy. These zones become blue coincidentally when their eighty, ninety and one-hundred-year-old residents possess the following factors that strengthen their condition: good mental and physical health, adherence to a food tradition, strong faith and spirituality, a great deal of support and respect from a family network, physical activity and continuous mobility, and a purpose in life or reason for living. In one of Buettner's most recent visits to Costa Rica, he defined the Blue Zones as "a lifestyle and environmental concept that produce longevity. These are the places where people walk more than they drive a car, eat more plants than meat, have a diet that includes beans, or grains such as corn, and where the family comes first and is the very reason for living. They have simple ways of relaxing, as well as friends with whom they share healthy habits." According to studies done by the Costa Rican demographer, Dr. Luis Rosero from the Central American Center of Population (CCP, as per its acronym in Spanish) of the University of Costa Rica, the concentration of inhabitants older than 90 years old with a healthy lifespan on the Nicoya Peninsula is unique in the world, and the mortality rate of this population is 10% lower in comparison to other inhabitants of the similar age in the rest of the world. 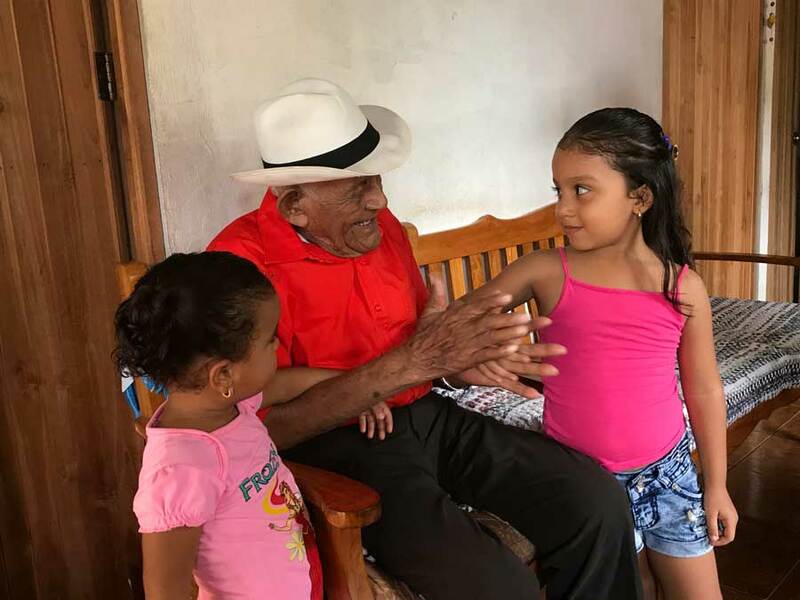 According to recent data, the nonagenarian population consists of 865 inhabitants (beginning after last May 31st), which means that Nicoya will continue to be painted blue for a long time. Among the five cantons on the peninsula, there are currently 41 long-lived individuals that have passed the goal of more than 100 years, and nine people that will be one-hundred years old before November. Ministry of Health- Vice-provost Ministerial Office of Health Promotion- Chorotega Regional Office- Nicoya Health Steering Areas. The National Council of Older Persons.